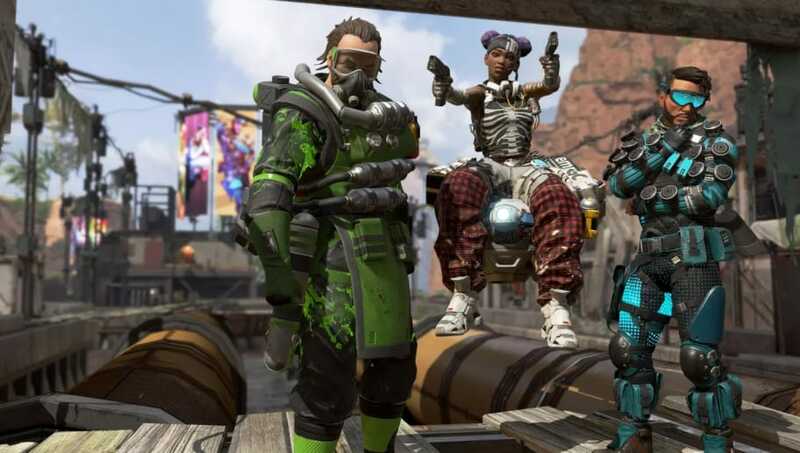 Apex Legends is a new battle royale game players were surprised with over the weekend. Like most games, there is a ping system players can use to notify their squad of important messages at a moment's notice. But Apex Legends' ping system is ahead of the competition compared to the pings used in other games, and it provides a model other games should consider following. Battle Royale games are among the leading games in the industry thanks to the booming popularity of Fortnite. Games like PLAYERUNKNOWN'S BATTLEGROUNDS are also among the top played battle royale games -- and even Valve dipped its toes into the genre with Danger Zone in Counter-Strike: Global Offensive. Like a number of team-based PvP games, there is a ping system installed to allow players to quickly relay information to their teammates. Games like Fortnite and PUBG allow players to quickly mark a location they want their squad to go in, or a location enemies might be at. Of course, it heavily depends on the players relaying the information verbally through comms. In Overwatch, players can use the team voice chat to speak with their teammates but also have a ping system that provides various pings to provide information for their teammates -- such as notifying healers they need healing, telling players to group up, and notifying players what percentage their ultimate is at. Apex Legends also features a ping system, but it is more advanced than any system games currently provide. Respawn Entertainment revealed it playtested the ping system without voice comms and fake names to simulate playing with randomly matched teammates. And the result created the incredibly useful and informative ping system players can experience in Apex Legends. Players can ping an enemy location if they are spotted, which the in-game characters will then verbally relay to their team. The location players want to travel in can also be pinged, which, once again, will be verbally relayed by that player's respective Legend in-game. Players can ping if they are in need of a helmet, ammo, a weapon, healing, and more with just one button. What's more, the pings will also be written on the top right corner of the screen, where players will also see the kill feed, so all pings will won't go unheard or unseen by teammates. Essentially, the ping system removes any necessity for voice-based comms and that isn't a bad thing. Even though the information can be verbally repeated through microphones, it doesn't need to be. Players can easily provide information on what they want, what they saw, or where they want to go with one button. And there is almost no room for players to accidentally confuse one ping over another. For support heroes in Overwatch, for example, players can press one button notifying their team's healer for healing. The same button can be used by support players to tell players to group up for healing -- it is a specific ping that heroes with healing capabilities can ping to others but it is bound to the same key. Since a majority of team compositions run two support heroes, healers have the option to request healing if they find themselves nearing critical health during a battle. However, in the middle of a fight, that means players will need to locate the other support and ping for healing. An Ana will need to continue shooting at her teammates and keeping her camera on them to heal, but pressing the key to ping for healing will cause Ana to tell her target to come to her for healing instead -- and it won't notify the other support that she needs healing herself. Apex Legends has an intelligent, simple, and incredibly effective ping system that players can use to request just about anything. Players now have the ability to relay useful information to their team thanks to the ping system, and it is something other games need to adopt -- whether it's the developers of PUBG or Fortnite creating a more informative ping system for the first time, or games like Overwatch where Blizzard might want to improve its already existing system.